The ocean is abundant with sources of natural ingredients for the well-being of the skin. This is why Contapharm Laboratories have selected a cellular extract of red seaweed for its high concentration of biologically active silicium, with multiple cell-stimulating, hydrating, softening and purifying properties. 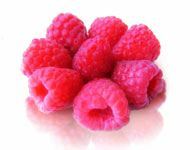 This extract develops and improves skin elasticity, radiance and softness. Jojoba seed oil and sweet almond oil are emollient or moisturising oils that enhance the lipid (fatty) layer of healthy skin. 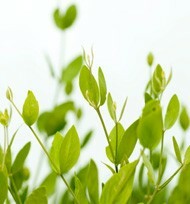 Jojoba oil is produced from the seed of the jojoba (Simmonsia chinesis) plant. Almonds are a rich source of oil, sweet almond oil is obtained from the dried kernel of sweet almonds. The oil is good for application to the skin as an emollient, and has been traditionally used by massage therapists to lubricate the skin during a massage session. Rosmarinus Officinalis (from organic farming)These prevent the skin from drying out and improve its hydration and overall appearance. A reduced lipid layer leads to dry feeling, taut skin and can contribute to the visibility of fine lines. By supporting the layers under the skin, these oils enable the skin to fight bacterial infection, repair damaged cells and regenerate new ones. As there is no dryness, environmental aggravation or irritation, these processes can continue unhindered. Shea butter works in the same way as jojoba and almond oils. This plant lipid is extracted from the nut of the African shea or karite tree (Vitellaria paradoxa). 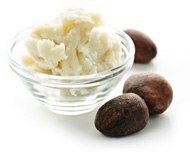 Shea butter is edible and is used in food preparation in Africa and is used as an emollient in beauty products and cosmetics. Shea butter is a rich source of antioxidants, including epicatechin gallate, gallocatechin, epigallocatechin, gallocatechin gallate, and epigallocatechin gallate-as well as quercetin. (Source: Journal of Agricultural and Food Chemistry, October 2003, pages 6268-6273). Shea butter melts at body temperature and absorbs rapidly into the skin without leaving a greasy feeling. Beeswax is a natural wax produced in the bee hive of honey bees. It is made naturally by the worker bees to build the walls of their honeycomb. It is a thickening agent that has some emollient properties. It smoothes lashes, is soft around the eyes and enhances the moisturising effect of creams and lotions. From the leaves of Aloe barbadensis plants, it is packed with anti-oxidants and nutrients including beta-carotene, vitamin C and E. It enhances the appearance of dry or damaged skin by reducing flaking and restoring suppleness, ensuring this alcohol-free toner is non-drying. Aloe forms a protective layer on the skin, reduces skin inflammation plus has rejuvenating, healing and soothing properties. Rosemary is an aromatic evergreen shrub and its extract can have antioxidant benefit for skin (Source: Journal of Agricultural Food Chemistry, October 1999, pages 3954-3962), but its aromatic components can cause irritation or sensitizing or toxic reactions on skin (Source: Chemical Research in Toxicology, November 2001, pages 1546-1551). reducing the signs of skin ageing. "COMBINING THE RICHES OF THE OCEANS WITH THE BIODIVERSITY OF THE ARCTIC"